No matter how far along you are on your journey into your family history, you'll need a place to store all of the information you uncover. For this reason, Findmypast has its own free family tree builder. It’s the perfect place to keep all your discoveries safe, creating a detailed and vivid picture of every piece of your family history that you can find. To get started on your family tree, simply visit our family tree builder and click 'create a tree'. Here you'll be prompted to start adding details about the family members you know, such as their dates of birth, marriage details and where in the country they live or lived. From there, you can build a wider tree, a more meticulous and valuable account of your family history that can be shared with others. You can even add links to records, pictures and audio recordings to add colour to your tree. Here are a few tips to help you keep your family history research in order. There are different views to help you visualise relationships when looking at your tree. The 'pedigree' view shows only direct ancestors, while the 'family' view shows all brothers, sisters and spouses of each generation. Use both of these to identify gaps in your research and pinpoint what to look for next. Every relative you add to the tree has their own profile. You can add media to these (pictures, images of records, maps of where your ancestor lived and even audio recordings of them or people talking about them). The facts section allows you to add custom and pre-prepared facts that can tell the whole story about your relatives. Add media relating to every fact and cite your sources to be sure of accuracy. Link other members of your family (witnesses, informants etc.) to these facts and you'll be able to discover new links that may not have been so obvious before! Relatives have a notes page too – write down everything you can. Every half-story or possible lead should be kept until you are sure. The People list can be sorted by name, dates and places, and includes hints on records you might like to look at to further your research. Use the list to spot gaps (perhaps you've missed a birth location or death date). When you find the records to fill in this information, you might be able to go back even further! You can add records to your tree directly from the transcript or image just by clicking the 'add to tree' button in the top right of your screen. This is a great time saver, and really simplifies the process of building your family tree using Findmypast record sets. 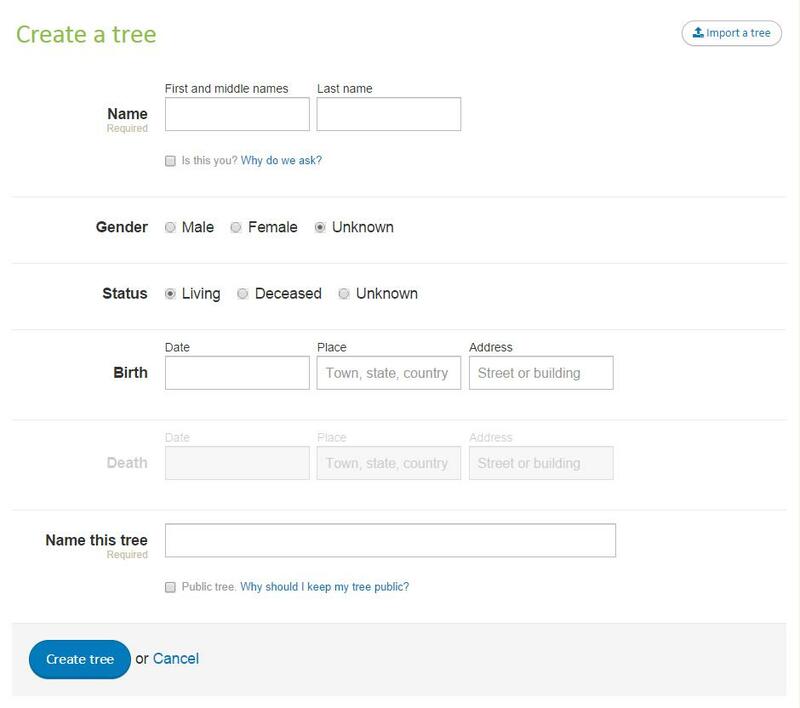 If you've built your family tree elsewhere and wish to transfer it to the Findmypast tree builder, you can import it quickly and easier as a GEDCOM file. Simply select 'import a tree' on the tree builder homepage and add the file there. It's entirely up to you whether you make your tree public or private, either when you start or at any point in your research journey. However, if you keep it private, you might miss out on finding new distant relatives who might be able to collaborate with you. Every single fact you add can be public or private, so even when your tree is public, it's still up to you how much you share or keep to yourself. But remember, somebody spotting those names might just be the person with the picture in the attic you desperately need to see, or the certificate that solves that family mystery!